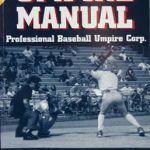 Comment ABUA-E: The signal of the manager to walk the batter may be given during live or dead ball, but the Intentional Base on Balls must be performed during live ball (it is still a live ball award). Does the manager himself have to order the walk or can the pitcher do it? Just like with replay challenges, it is the manager who must get the attention of the umpire and signal the walk. Players cannot do it. Is there a specific signal for ordering the walk? Sadly, no, not yet. My favorite idea along these lines is to have the manager wave a white flag. Someone else suggested the universal „We’re not worthy“ bowing sign. 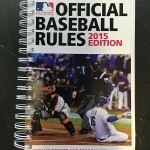 I’m all for anything slightly demeaning like that, but that’s because I thoroughly loathe the intentional walk. As of right now, there is no official signal. 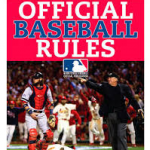 MLB expects different managers to signal the walk any number of ways. He can come out of the dugout. He can yell across the field. He can hold up a „WALK HIM!“ sign. He can walk out to the mound, talk to the pitcher and then tell the umpire on the way back to the dugout. It doesn’t matter … not until baseball starts furnishing white flags. Does the manager have to order an intentional walk or can he have the pitcher throw the four pitches like before? 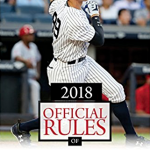 Nothing in the official rules has changed regarding the intentional walk itself. So if a manager wants his pitcher to throw those four intentional walk pitches — say, to give a reliever time to warm up — he can. No one in MLB expects this to happen much, if at all. Let’s say a pitcher gets behind in the count and the manager then decides to intentionally walk the hitter. Does the pitcher need to throw the last two or three balls? Or can the manager point the hitter to first base? The manager can choose to intentionally walk a hitter on any count. 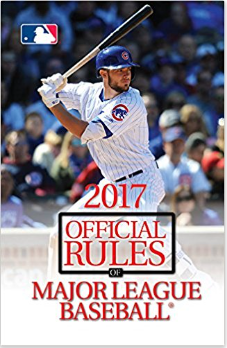 So if the manager has a bad feeling — even if the count is full — he can get the umpire’s attention and order the walk on command. This, admittedly, feels a bit weird. It’s one thing to have the manager order a walk right at the start of the at-bat. But to actually stop action and walk someone mid-at-bat, that seems more intrusive. Will a pitcher feel like he’s being shown up if this happens? It’s hard to say, but then it’s hard to say if this will ever even happen.